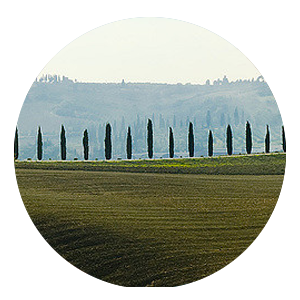 Podere Le Monache set on a hillside dominates one of the most picturesque and spectacular landscapes in Tuscany. With distant views over hills, out to sea towards Livorno and Pisa. 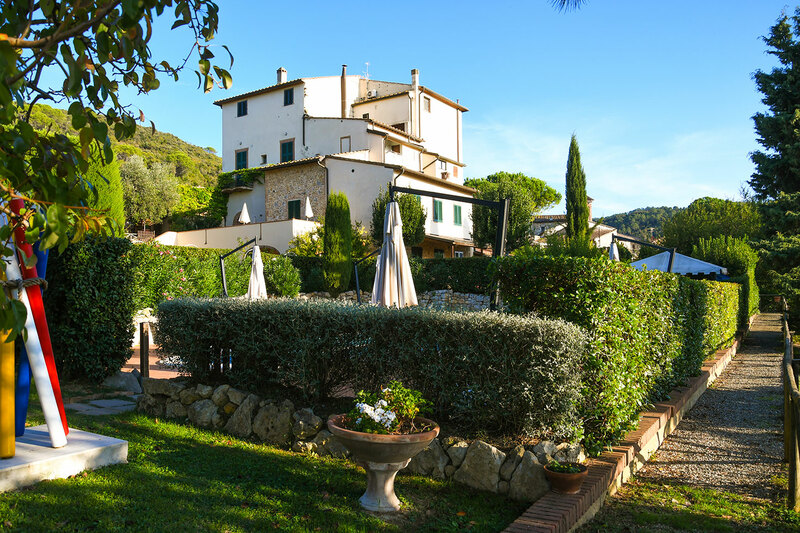 Originally a convent wrapped in history Le Monache has a magical and spiritual atmosphere. Whether you are lazing by the pool or strolling in the olive grove or simply relaxing in your apartment you are in another world. Restored and converted from a farmhouse into four charming ground floor apartments. Perfect for small or large family vacation rental. Great care has been taken to restore all of the original features, vaulted ceilings dating back to the 11th Century, open fireplace in Monache 1, and beamed ceilings with original oak beams. Meanwhile all modern conveniences have been incorporated . Each apartment is self contained with its own private entrance terracotta patio and outdoor furniture. 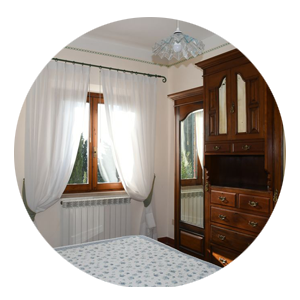 We also have a laundry room with washing machine for use of the guests. We can organise wine tours in the region from half day to an all day event. The Autumn is a very exciting time of the year beginning in September going into the woodland to find wild mushroom and Truffle hunting than passing on to October , November we are involved in the harvesting of the olives and invites the guests to join in the process from picking the olives to processing them into our Organic Extra Virgin Olive Oil. Ending the day in tasting the fresh olive oil and preparing some delightful exquisite Tuscan dishes .